In 1960, University students invented a form of protest that went national. 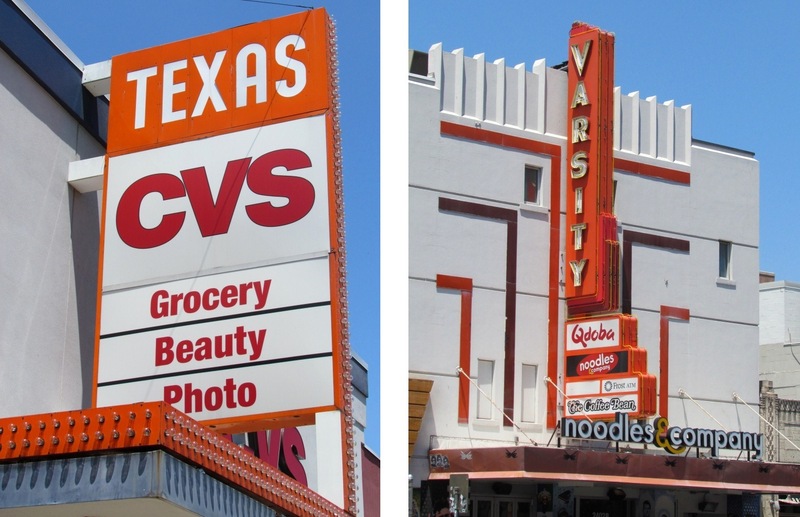 Above: The marquees of the Texas and Varsity Theaters on Guadalupe Street. The next time you’re on the “Drag” – that bustling segment of Guadalupe Street which defines the western edge of the campus – take a close look at the stores. Among the book dealers, coffee shops, fast food venues, and clothing outlets, two have squared, projecting covers over their entrances, framed by rows of lights and topped with curious bright orange signs. One reads “Texas,” the other, “Varsity.” What are they? They’re replicated movie theater marquee signs, though smaller and much less glamorous than the originals. Today, they’re more like historical markers, reminders of a previous era when going to see a motion picture was one of the Drag’s popular charms. The Texas Theater, now converted into a drug store and a coffee shop, opened in the 1920s and initially showed silent films. Two blocks north was the Varsity Theater, with its distinctive Art Deco façade. Built in 1937, it kept up a brisk business until it was reluctantly closed in 1990. 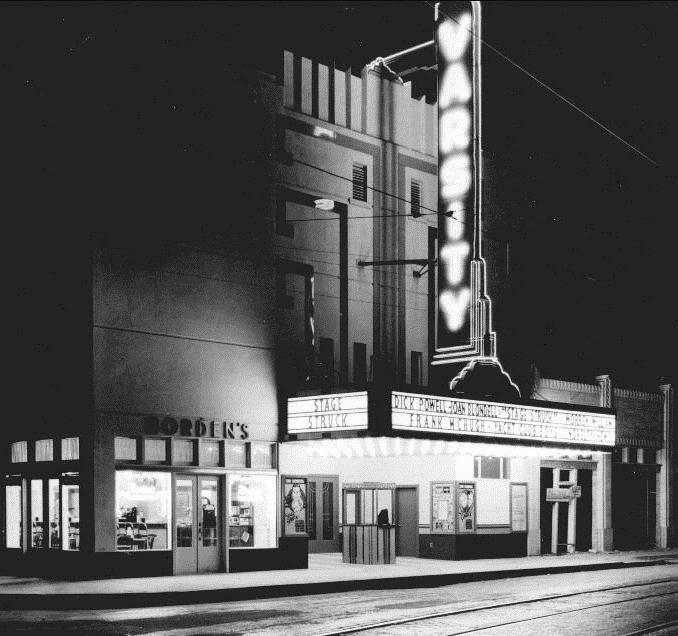 For decades, the Texas and Varsity theaters were familiar local landmarks. 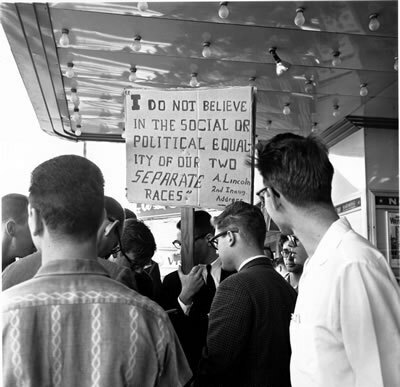 But in 1960, as the Civil Rights Movement began to bloom in Austin, the two movie houses, which had always been limited to white patrons only, were shoved into the national spotlight as part of a growing campaign for racial integration. The effort to open the theaters to everyone roused a significant portion of the University community, caused UT students to invent a new form of protest that was soon emulated nationwide, and received a little help from a former American First Lady. Off limits, too, were most of the shops along Guadalupe Street. 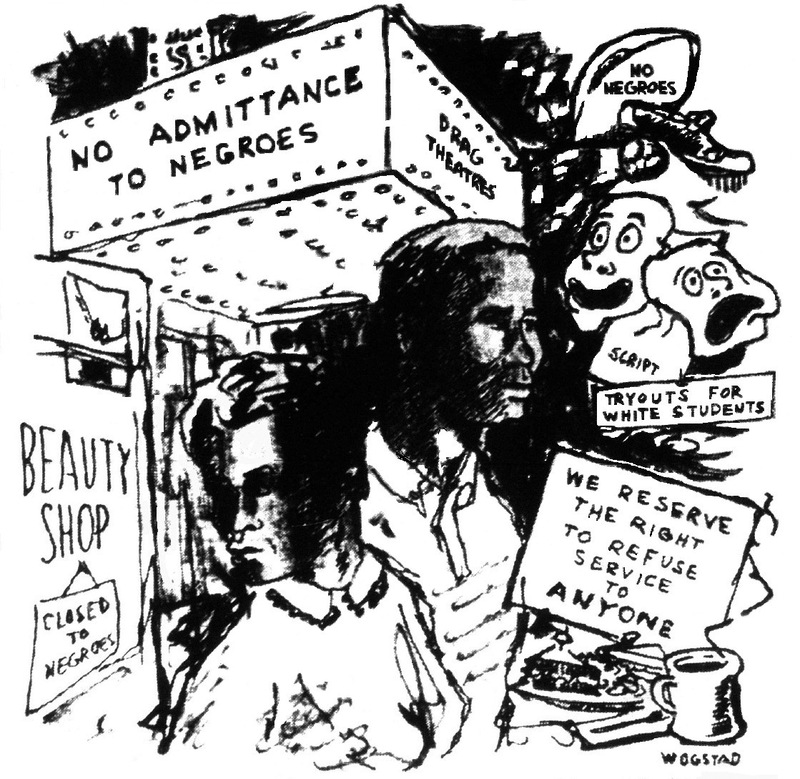 Cafes and nightclubs served white patrons only, along with barber shops, which required African American students to go to East Austin for haircuts. Clothing stores were open, but the use of fitting rooms was prohibited. Movie theaters were also “whites only.” This created a significant problem for black students in courses where professors required the viewing of a specific film as a class assignment. 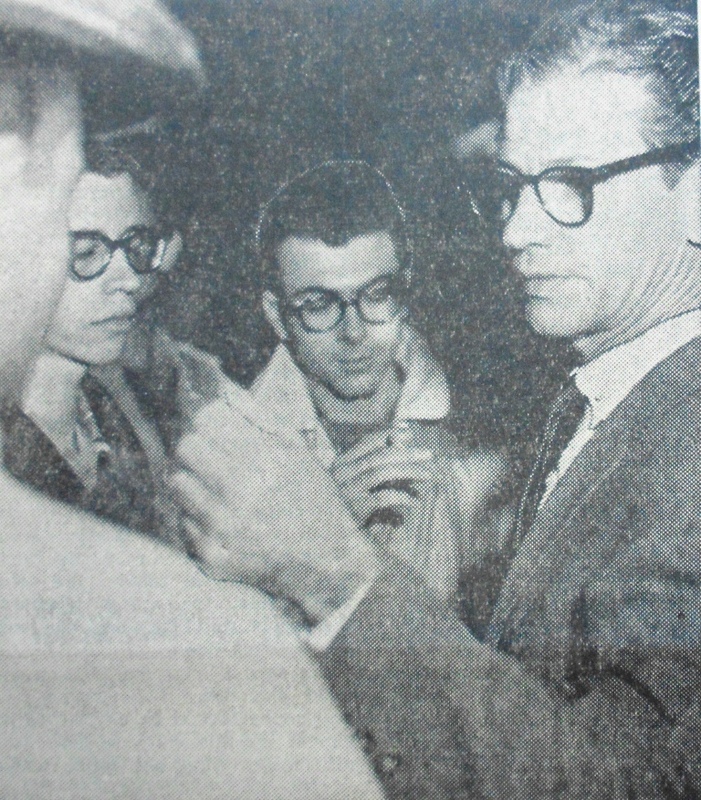 “Integration is practically at a standstill in the University area,” declared UT student Chandler Davidson in November 1960, as he announced the formation of the Students for Direct Action, or SDA. 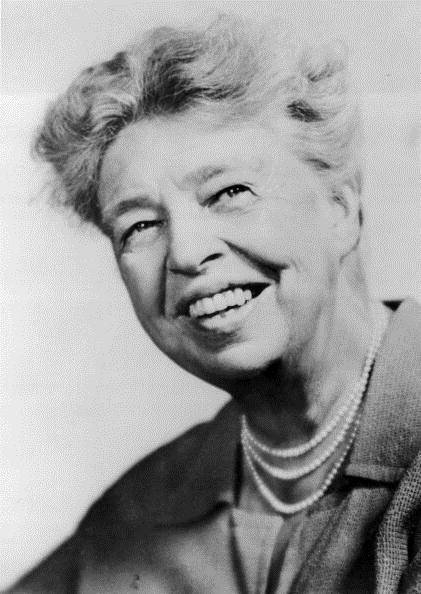 Davidson, who was white, explained that the group’s purpose would be to publicize the difficulties encountered by black students and to “take peaceful, lawful, but definite action to remedy the situation.” The group had initially been formed as the Human Relations Council, under the auspices of student government, but Davidson and others thought the University’s regulations that oversaw student activities would eventually thwart their efforts. As the SDA began to meet, the integration of stores along the Drag quickly became a top priority. Efforts had already been made to open cafes to African Americans, but with little success, so the group turned its attention to the theaters. Earlier that year, on February 1, 1960, four black students from the North Carolina Agriculture and Technical College in Greensboro entered a local Woolworth’s Department Store, and, after making a few purchases, sat down at the lunch counter which was labeled “whites only.” They were refused service, but remained in their seats for an hour in protest. The “sit-in” was born, and soon became popular as the Civil Rights Movement matured through the South. The first sit-ins in Texas occurred just a month later. As SDA members discussed plans to persuade theaters along the Drag to integrate, African American student Houston Wade made a suggestion. 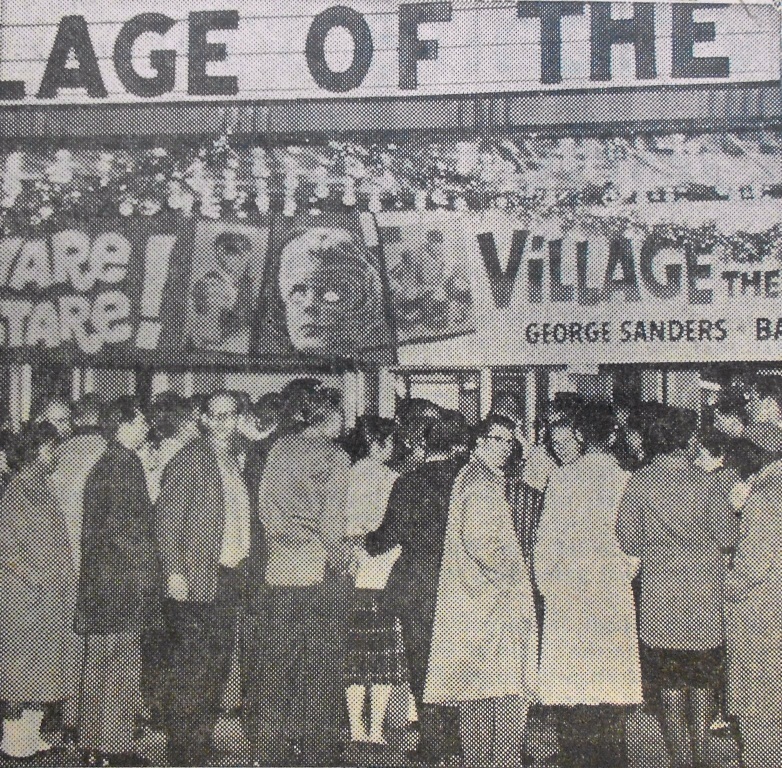 A variation on the sit-in, Wade called it a “stand-in.” Persons would line up at the box office, and when their turn came to purchase a ticket, would politely ask, “Is this theater open to all Americans?” When told it was limited to white customers only, the person would return to the end of the line and repeat the process. This had the effect of both raising the issue and clogging up the line. The first stand-in was slated for Friday, December 2nd at just after 7:30 p.m. About 100 students, a biracial group with 20 African Americans, stood in line at the Texas Theater, which was next door to the YMCA. The line snaked down the sidewalk as the protest lasted an hour before the group returned to the Y. When the stand-ins began, managers of the two theaters found themselves in an awkward situation and reacted differently. Both movie houses were owned by parent corporations: the Texas Theater was part of the Trans-Texas Theater chain, headquartered in Austin, while the Varsity was owned by ABC-Paramount in New York City. Despite endless questions and requests from the protesters, neither manager could alter the admissions policy at his discretion, but was bound to uphold the parent company’s directive. 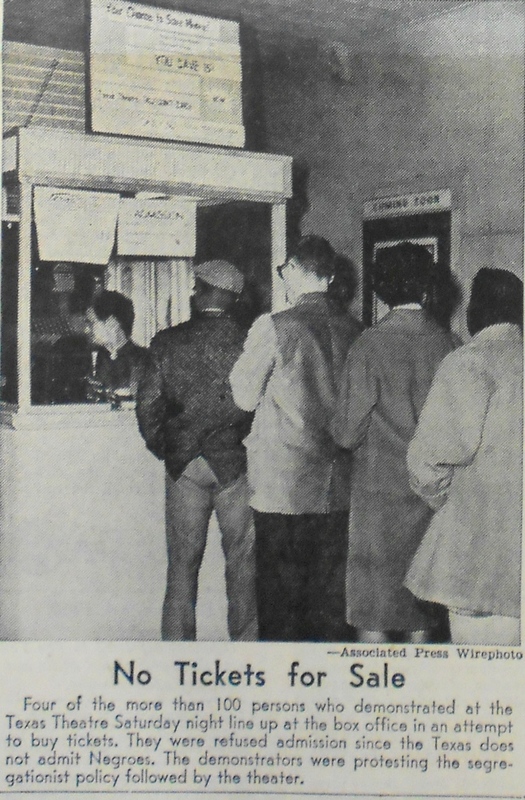 The manager of the Texas Theater opened a second ticket office inside the lobby – while keeping the outdoor one open to “keep as near normal an operation as possible” – and tried to direct those who truly planned to see a film indoors. He instructed the protesters to remain on the sidewalk and not enter the building, and threatened to call police if the demonstrators became unruly. But the Varsity Theater manager confronted the protesters. Most of the front entrance was roped off, while an employee used a bullhorn to instruct theater-goers to step past the demonstrators. The manager held a clipboard and demanded the names, addresses, and home towns of those involved in the stand-in. “I’ve been answering your questions,” he stated, “now it’s time for you to answer mine. I want to know who I am talking to.” Another employee was ready with a camera to take head shots. It was all a scare tactic, of course, and meant to intimidate. Instead, many of the demonstrators readily posed for photographs. As classes resumed in January 1961, so did the protests. For the next five months, the SDA organized two or three stand-ins a week with 100 – 150 participants. 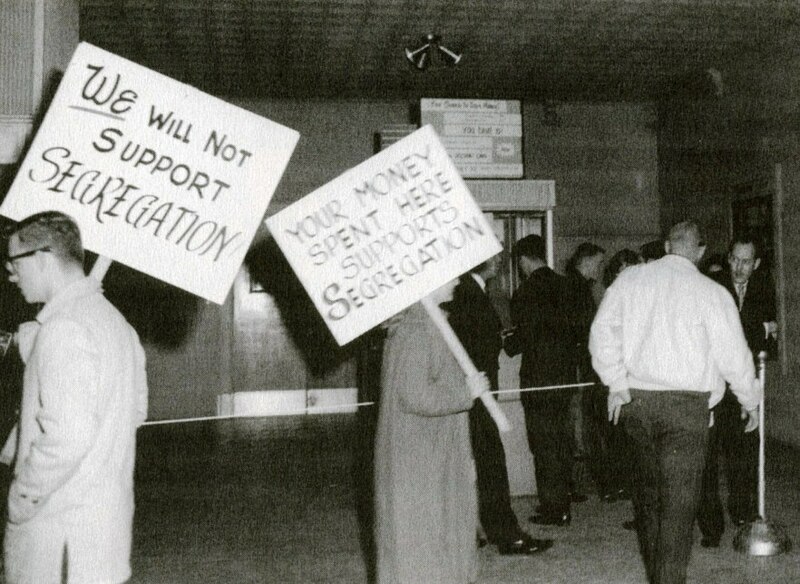 Picketers were added and carried signs which read, “Your money spent here supports segregation.” When the weather was chilly, coffee and donuts were available at the YMCA next door to the Texas Theater or at the University Methodist Church across the street from the Varsity. After a while, the protests developed into social gatherings. Songs were sung, student couples made it a cheap date, and occasionally a professor or two was spotted joining the lines. To maintain interest and momentum in the cause, the SDA symbolically chose Sunday, February 12th – Abraham Lincoln’s birthday – for its most ambitious demonstration to date. Not only would the local stand-ins be larger, but SDA members had networked with like-minded college students in other parts of the country and asked for sympathy protests. The results were better than expected. On the appointed day, more than 400 persons crowded the sidewalk along Guadalupe Street, including a few students from Saint Edward’s, Concordia, and Huston-Tilitson Universities. Sympathy protests were held at the Universities of Michigan and Illinois, Oberlin College in Ohio, and at Harvard. But just as newsworthy, Houston Wade’s initial idea of the stand-in was being emulated nationwide. Corresponding stand-ins were held in San Antonio, Houston, Dallas, Shreveport, Boston, New York, Chicago, and San Francisco. Though efforts to integrate the theaters were, for the most part, non-violent, there was opposition. A student group that called itself the Foundation for the Advancement for Conservative Thought (FACT) distributed newsletters which argued a businessman should have the right to “make his own decisions in such matters as whom to serve” and not be “forced” to integrate. At the stand-in on Lincoln’s birthday, a small group of segregationists held signs which read, “I do not believe in the social or political equality of our two separate races,” and claimed – incorrectly – that the sentence was from Lincoln’s 1865 inauguration speech. (Instead, it paraphrased some of Lincoln’s statements from the 1850s.) On occasion, riders in cars along Guadalupe Street derided the protesters, and there was a single incident where two youths were arrested for spitting, pushing, and assaulting picketers. On campus, at least one professor warned his graduate students against participation in the stand-ins, as it might harm their future careers. Rumors persisted that the University administration was pressuring The Daily Texan to cease coverage of the protests, and the YMCA reviewed a request to make its facilities available only to University-approved student organizations. As the SDA wasn’t officially connected to UT, it would have been left homeless. The YMCA politely declined. Through the rest of the spring, while long lines and picketers had become a routine sight on the Drag, the effort continued to receive broad attention. Photos of the stand-ins regularly appeared in the Austin newspapers, TIME magazine and The New Republic printed articles, and venerated television and radio journalist Edward P. Morgan delivered a sympathetic commentary to his listeners nationwide. On May 17th, 260 members of the University faculty and staff published a four-column advertisement in the Austin American, each person having contributed the price of a movie ticket. (Photo at left. Click on the image for a larger view.) The ad specifically requested the presidents of the two companies that owned the Texas and Varsity Theaters to revise their policies and open the theaters to everyone. At the end of the spring term, when most UT students had left Austin for the summer break, a hiatus was declared for the stand-ins, though the SDA vowed their return in the fall. But as the integration of public schools, restaurants, playhouses, concert halls, and other venues were then making headlines nationwide, executives from Trans-Texas Theaters and ABC-Paramount sought a permanent solution. A meeting was called for August 4th. Representatives from the theaters, Houston Wade from the SDA, English teaching assistant Claude Allen on behalf of the UT faculty, and Rabbi Charles Mintz of the Austin Human Relations Commission met for negotiations. If the stand-ins ceased, the theaters agreed to a one-month trial period in September where African American UT students (who would be required to show IDs) would be allowed into the theaters. After a month, if there had been no objections from other patrons and business was unaffected, the theaters would quietly open their doors to all persons. The month-long experiment was, of course, a success. Within a year, most of the shops along the Drag had integrated as well. This entry was posted in Uncategorized and tagged Civil Rights, Integration, Jim Nicar, Stand-in, Varsity Texas Theater by jimnicar. Bookmark the permalink. Love this – It is very interesting. Thank you for researching and writing this article. All the UT History Corner posts have been Great!